Simply plug it into a mains socket and then plug your appliance into it. 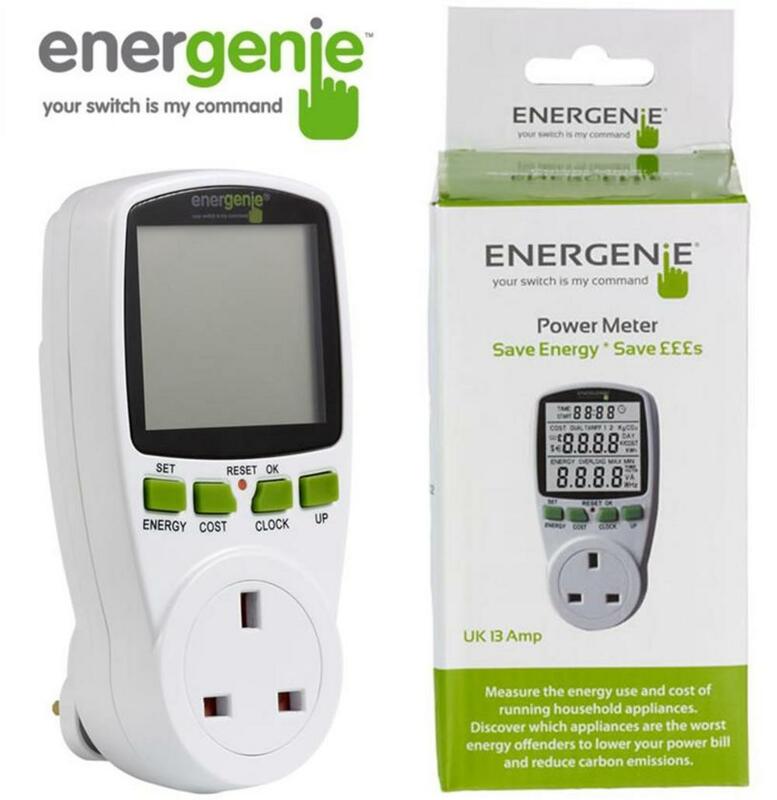 The meter will monitor the energy usage of your appliance . It will measure the energy use (and calculate costs) of running household appliances. Answer: You can use it on household applications. Answer: Measure energy and cost of household appliances. It can help users reduce the power bill and carbon emissions. Answer: No, you just need to plug in the application you want to measure. But if you want to measure the cost, you will need to set the COST. Q: Can you provide some more information about setting the cost? Answer: The cost is pre-set to 1.00, but you can reset it however you like. For example, if your electricity rate is 20p per kWh we recommend setting the price at ’00.20 (as in £00.20). Q: What is the Overload power? Answer: Overload power is to protect too much power being drawn from a single outlet. This by UK standard is 13A/3120W. In the case of overloaded, the screen will flash as a warning. In general, for home users this isn’t an issue as not many appliances consume that much power. Q: Why does the timer stop? Answer: The timer will stop accumulating when the plugged-in appliance drops to 0 watts. You can use this feature to measure actual run-time of appliances. Answer: No, it takes a small amount of power from the mains supply. But you do need the batteries for it to memories data while unplug from the mains supply. Therefore, please make sure the batteries are inserted before use. Q: Can the device be used outside? Q: Does the Power Meter measure Real or Apparent Power? Answer: Our power meter measures ‘Real Power’ – this is what you are billed for. Power is measured instantaneously in Watts (W) and over time in kilowatt-hours (kWh). The power meter will show you (among other things): volts (V), amps (A), power factor and real power (W).